The United States has said it was offering a $5-million reward for information on Mullah Fazlullah, the chief of the Pakistani Taliban terror group that has waged a decade-long insurgency in the South Asian nation. The offer came amid worsening U.S.-Pakistan relations, and coincided with a visit to Washington by Pakistan’s foreign secretary for talks expected to focus on boosting counterterrorism cooperation and the U.S. war strategy in Afghanistan. Although Pakistani Taliban terrorists still unleash attacks, the group has lost control of all territory in Pakistan since its Dec. 2014 attack on an army school that killed 132 children. 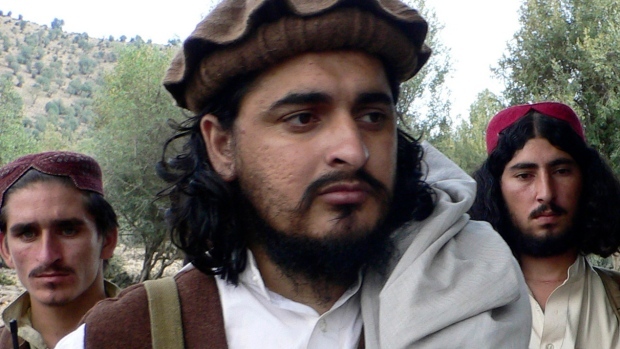 The U.S. State Department also offered rewards of $3 million each for information on Abdul Wali, the head of a Pakistani Taliban affiliate, and Mangal Bagh, the leader of an allied Pakistani terror group accused of attacking NATO convoys.